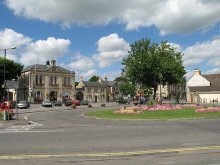 As you can see the Corsham Community Information Portal gives you instant access to live financial news, national news and local news - plus local info on often reviewed local services around Corsham. Tip! Try entering your own postcode into the Your Location box (top right) and all the local links currently set for SN13 0BY will relocate for you anywhere in the UK. This can be especially useful for when you are travelling or on holiday! Crucially, although you are on the MONEY profile at the moment, you could also use the White Profile buttons to choose another profile like Corsham Area or Sport or Shopping or Faith ...... The choice is yours. 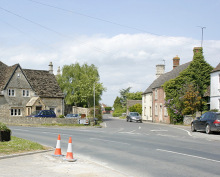 Whatever you choose corsham will look both different and current everyday!